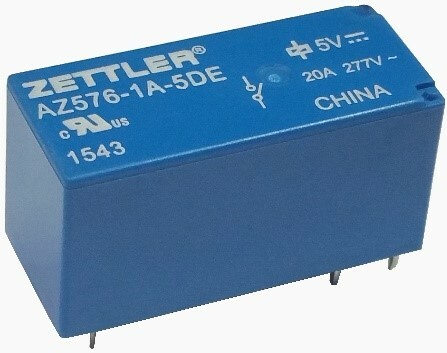 American Zettler’s “workhorse” relay AZ576 provides solutions for switching ballast loads in street lighting project. | American Zettler, Inc.
American Zettler’s “workhorse” relay AZ576 provides solutions for switching ballast loads in street lighting project. 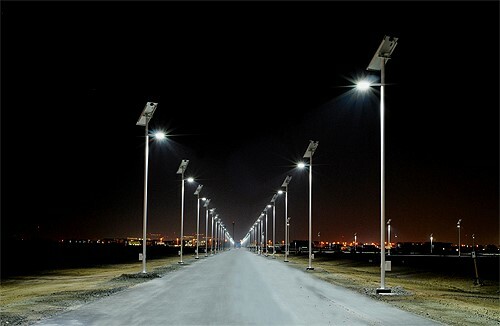 The lighting applications market continues to grow and diversify. The increased use of electronic ballasts requires relays to switch ever increasing inrush current and at higher voltages. In addition, designers are looking to build one circuit which meets the needs of many different countries’ system voltages. 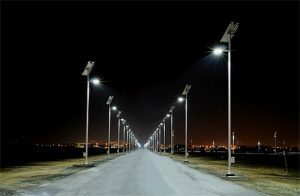 A manufacturer of consumer and commercial lighting systems required a relay for a North American roadway lighting project. The relay needed to switch electronic ballast loads at 347VAC and 480VAC for use throughout the continent. The AZ576 was up to the challenge! Nominally rated for 20A@277VAC resistive (30K cycles, 85 C), the AZ576 successfully passed both standard and electronic ballast load testing to switch 3.7A@347VAC and 2.7A@480VAC (10K cycles, 105 C). Beyond its suitability as a relay for the lighting industry, the AZ576 also carries ratings for: general use, pilot duty, Tungsten, HP, standard ballast, and TV. Housed in a small, industry-standard package and footprint, the AZ576 is a “workhorse” ideally suited for the needs of many applications and markets.